There is no previous "lesson"
Let's kick this off right, eh? Here we have yet another set of tutorials on the web. If you're reading this, just be warned ... I write this for myself and the lessons I bring you are probably full of bad habits and bad practices. We aren't building lasting software here today. You might ask me "Why would you write this at all?" The simplest answer is that I felt like writing and fooling around in Python is fun. I thought maybe others would be curious about this stuff. 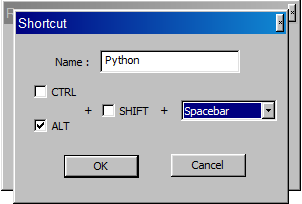 Notepad++ is my text editor. 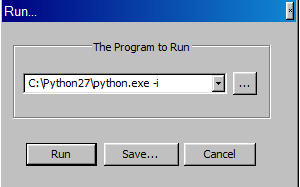 I had every intention of installing Python3, but when I attempted to make a default installation in Windows, it failed. I could probably address the issue and get it installed anyways, but I'm not going to.